Mama mia! Mamma mia! Queen legends Brian May and Roger Taylor switch on the Bohemian Rhapsody lights in central London this weekend. 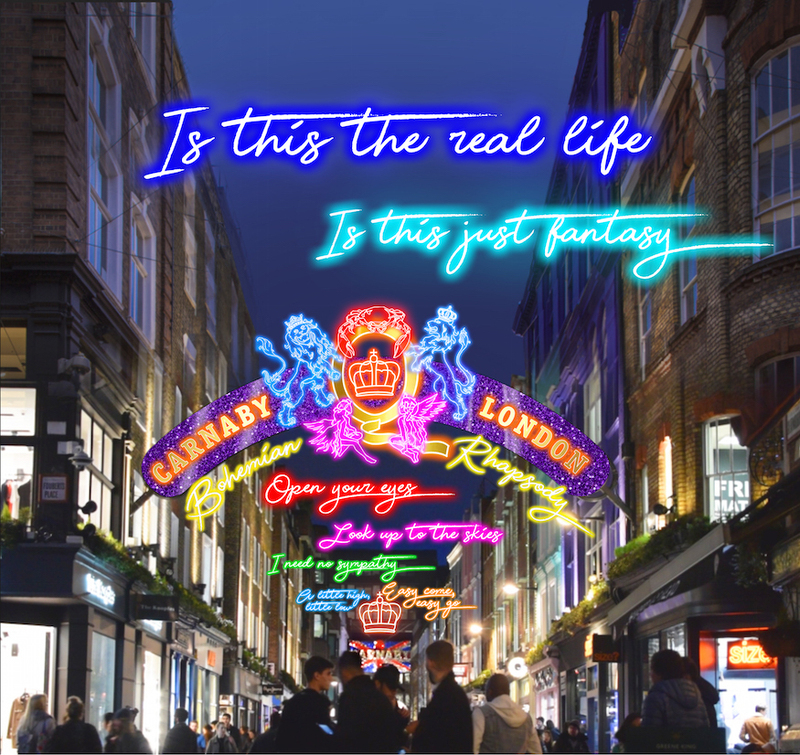 Strung up along the West End's Carnaby Street, the light installation illuminates sections of Freddie Mercury's gaga lyrics to Queen's best-known song. They are, perhaps, the ultimate karaoke titles. The installation serves not only as Carnaby's Christmas lights — but also as promotion for the new film about Queen and Freddie Mercury, called Bohemian Rhapsody. Stars from the film will also be at the switch on. A pop up shop and exhibition located at 3 Carnaby Street, showcasing photographs, prints and footage of Queen is already open. The switch on begins at 7pm on Sunday 21 October. The lights will be in place until January 2019. 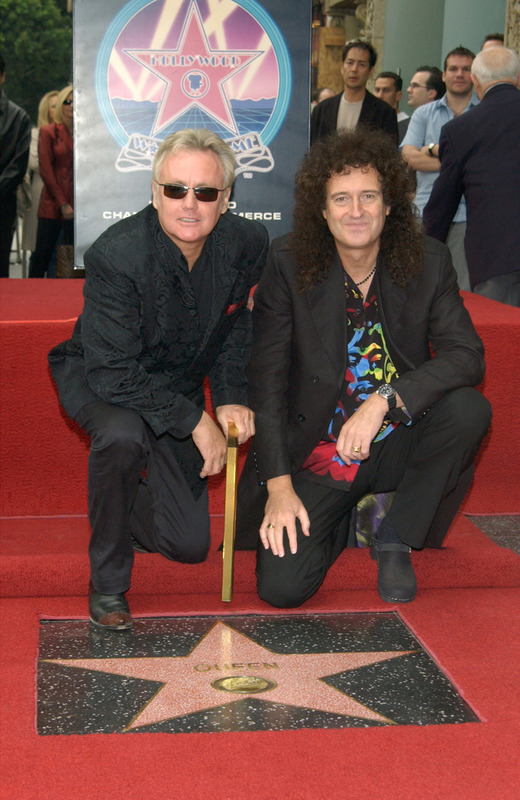 Brian May and Roger Taylor will not be playing live — but surely Queen songs will be blasted through the PA.